Step 1 - Set Up Your SYNERGY STONE SYSTEM. Start with a Pro Set of 5 or ADVANCED Set of 10. Or select your own Stones a' la carte' to build a Set of your choosing. 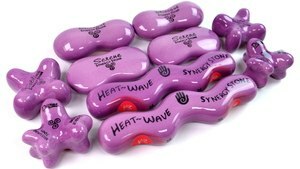 SYNERGY STONES can be heated between TheraTherm heating pads(with oil-proof covers), in Hot Water or in a Towel Cabinet. Learn more here. Or choose a COMPLETE Water-Free System that Has it All. Complete Water-Free Systems include a Pro-Set of SYNERGY STONES and a Water-Free Tray System. Learn more here. Step 2 - Watch to Learn. Practice Giving and Receiving. 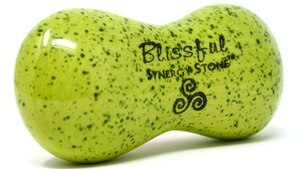 SYNERGY STONES are easy to get the feel of and incorporate into your own style of custom Massage. Enjoy the adventure of adding a new and rich style of Hot Stone Massage to your repertoire. 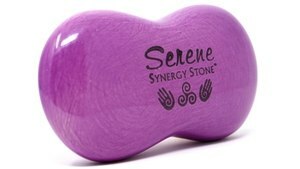 Step 3 - Add SYNERGY STONE Massage To Your Menu and Announce! 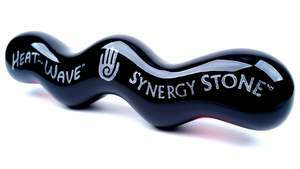 SYNERGIZE your existing Menu by Adding the SYNERGY STONE Massage and HEAT~WAVE Add-On! 1. 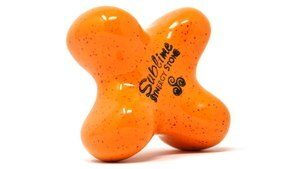 The Full Body SYNERGY STONE Massage. "The SYNERGY STONE Massage with hand-crafted, contoured Hot Stones blends Soothing Heat with Ultra-Relaxing and Therapeutic Massage creating a SYNERGY of Healing Sensations." It can be 30, 60, 90 or 120 minutes. We suggest pricing at $20-35 above your regular Massage rates. 2. The HEAT~WAVE Add-On. This is an optional upgrade to enhance any regular massage on your menu such as Swedish, Deep Tissue , Sports etc. 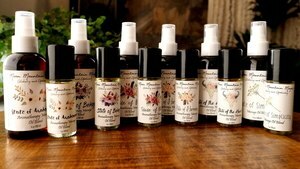 It can be offered at the time of booking or even during the massage session. The Add-On does not lengthen the regular massage time, therefore the revenue per/massage increases and clients are appreciative for the enhancement. We suggest charging $10, $15 and $20 to SYNERGIZE a 1, 1.5 or 2-hr regular massage. + Send an email newsletter highlighting the benefits of your new SYNERGY STONE Massage to bring in new and past clients. + Share a Facebook and Instagram Post announcing your New style of Hot Stone Massage! + Update your website with descriptions and an invitation to call and schedule right away. + Ask clients if they would like to try the new SYNERGY STONE Massage or upgrade with the HEAT~WAVE Add-On when they call to schedule their next service whether it is a facial, a manicure or another massage. 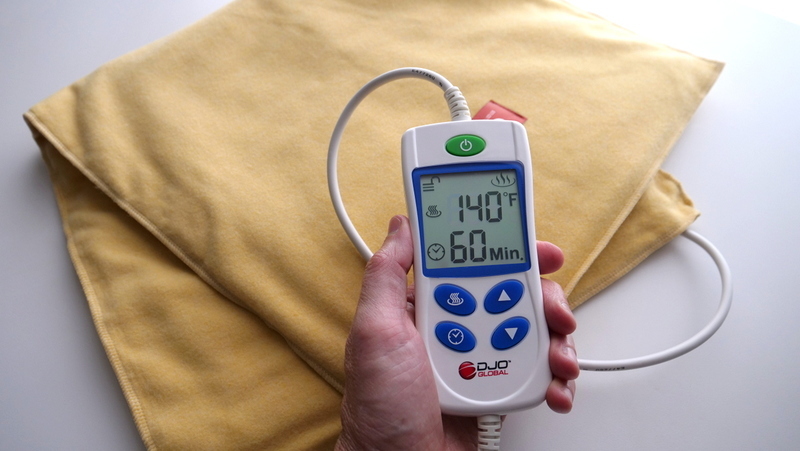 + Offer clients a complimentary HEAT~WAVE Add-On at the time of their regular massage. 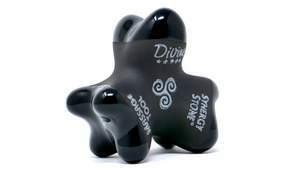 This can be highly effective at showing that you are interested in giving your clients the best possible service, as well as encouraging your clients to experience the complete SYNERGY STONE Massage in the future.